We believe collaboration with a specialty veterinary hospital should make you more efficient, and your practice more successful. 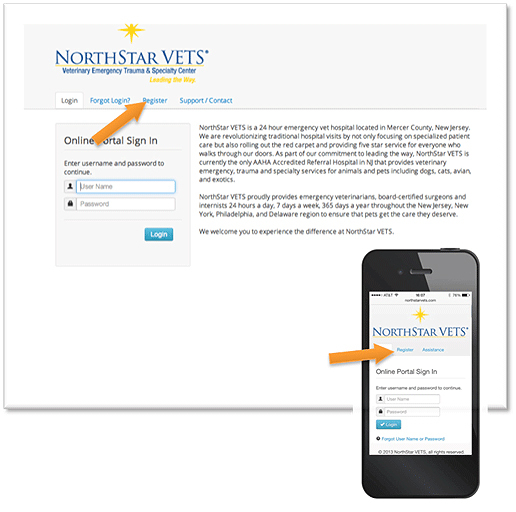 In order to help you streamline your collaboration with NorthStar VETS, we've created our new mobile application, NorthStar VETS Connectsm. Available for Apple*, Android*, and all mobile and desktop browsers, NorthStar VETS Connectsm is easy to add to your smart phone, tablet or desktop computer.